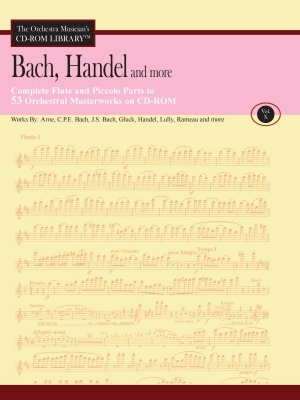 The Complete Flute and Piccolo Parts to 53 Orchestral Masterworks on one CD-ROM. If these parts were purchased separately, this collection would easily cost $500.00 or more. Works are viewable and printable on either PC or Macintosh. No access codes or special software is required. The CD employs Adobe Acrobat Reader technology which is included on the CD.